Order today and receive a custom design from our award winning design department. Remember all designs come with unlimited revisions. Simply click on "custom" design" sketch your design and we will turn it into something amazing. Need assistance right away? No problem, call us today. Choose a ready-to-use template and customize it with your info. 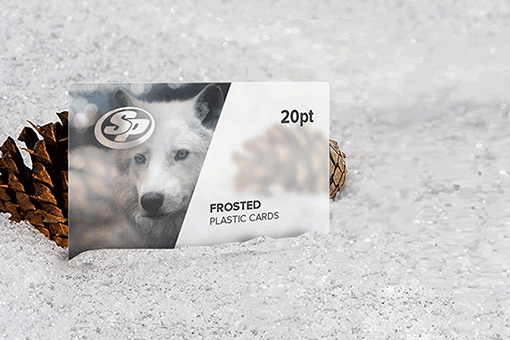 Build your card from scratch in our awesome design studio. 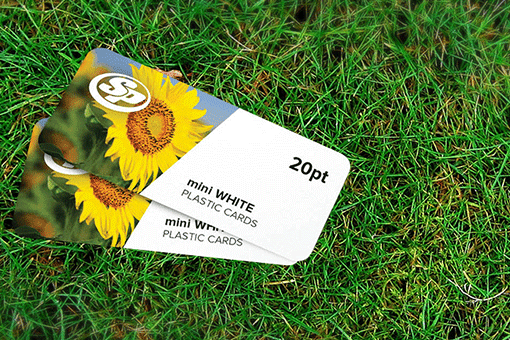 Unique texture and shine makes mini clear plastic business cards stand out and strong PVC plastic makes it strong. 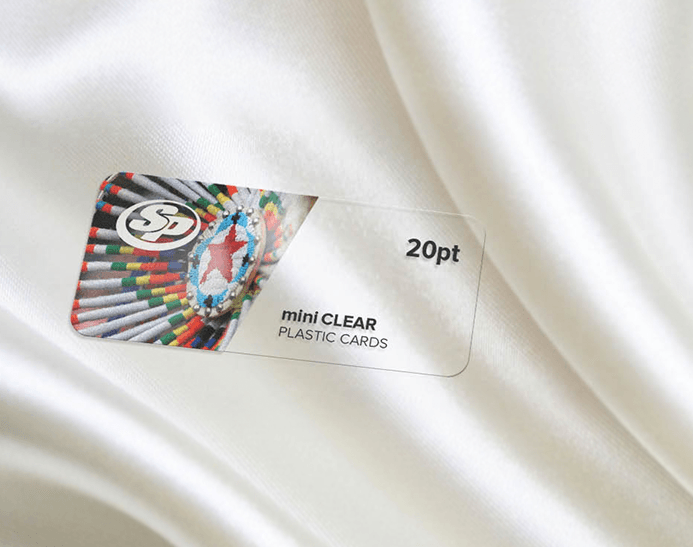 With our team of experts at Stigler Printing, get your mini clear plastic business cards printed aesthetically on sturdy white, clear or frosted 20 pt. plastic material that is simply made to last. 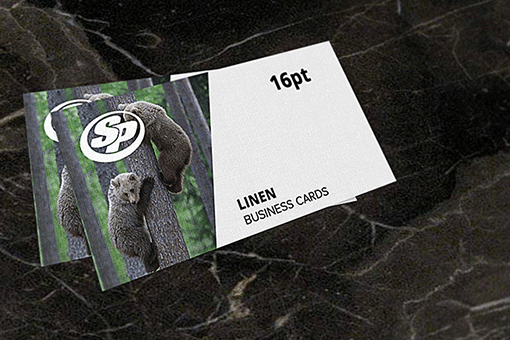 Choose from our pre-designed templates or create customized designs. 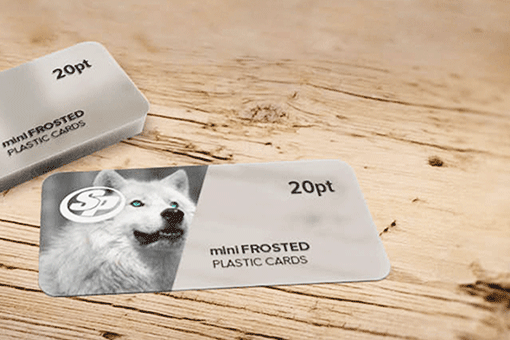 Start your mini clear plastic business card printing with Stigler Printing today and make a strong statement about your company or brand.